There’s no doubt that you’ve heard about antioxidants affecting your health at one point or another. However, what do antioxidants have to do with staying healthy? Overall, antioxidants are minerals and vitamins that especially work to protect our bodies from free radicals, which are dangerous molecules that work to attack our healthy cells and weaken the health of our immune systems. According to research, free radicals can increase your risk of cancer, brain disease, cataracts, and more. However, with the help of antioxidants, your body can rid itself of these free radicals and promote good health. These antioxidants include beta-carotene, lutein, catechins, vitamins C and E, flavonoids, and others that can be found in both food and dietary supplements. But, before you consider taking an antioxidant supplement, consult with your doctor, since they can interact with certain medications. Below, is a guide on the top 10 scientific ways how antioxidants help our health, which may give you the bump to start taking them regularly and making them part of your daily diet. 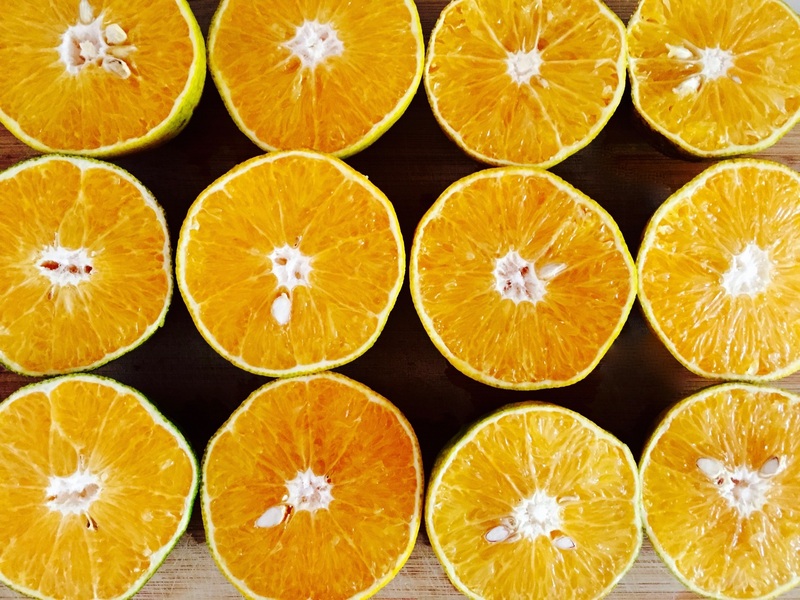 According to researchers, the combination of specific antioxidants, such as vitamins C and E, help protect our eyes from age-related and other severe types of vision problems, like macular degeneration, which can cause blindness in individuals that are 65 years of age and older. Additionally, lutein, found in spinach and kale, and beta-carotene, found in collards and butternut squash can help protect your vision and promote good eye health. Lab studies have shown that some antioxidants help slow and/or prevent certain cancer growths. Since free radicals can cause serious harm to your molecules and DNA, cell damage can lead to cancer over time. But, with the help of antioxidants, they can neutralize the free radicals in your body. Studies have shown that vitamin C and E can help improve overall brain function and lower the risk of dementia. Fortunately, vitamin C can be found in common foods, such as broccoli, Brussel sprouts, and citrus fruits. On the other hand, vitamin E can be found in peanut butter, avocados, and lettuce. According to the Harvard Medical School Family Health Guide, consuming antioxidants in your morning coffee or tea can help lower your risk of heart disease. In fact, a study in 2012 found that antioxidants in tea or coffee can promote a process that prevents oxidation of facts, which promote inflammation and increase the risk of both heart disease and diabetes. Plus, lighter roasts of coffee can offer your body nearly four times the amount of antioxidants. However, keep in mind that darker roasts contain much smaller amounts of antioxidants than raw coffee beans. Believe it or not, antioxidants can promote hair growth by maintaining hair follicles’ connective tissue. Antioxidants can also help protect the cells in your blood vessels to promote healthy hair growth. Additionally, vitamin C can be consumed as either a supplement or in foods, such as citrus fruits. Research has shown that certain flavonoids in dark chocolate and green tea can better protect your skin from cancer and inflammation, promoting good skin health. In fact, a study with a group of women found those treated with green tea extract were much more protected from negative sunlight than those with no consumption of green tea extract. According to one study completed at Penn State University, antioxidants aid in improving the function of the immune system by fighting free radicals. The specific antioxidants that help this process include polyphenols, minerals like selenium, and vitamins A, C, and E. These antioxidants work to neutralize free radicals and the harm they can cause. Because of this, antioxidants can aid in preventing certain forms of cancer from developing and can boost immune function in those with HIV. Also, consuming super foods like pomegranate which have antioxidant properties you can get rid of the common flu or strep throat symptoms. Another way how antioxidants help our health is by helping our lungs to work better. One study tested out this theory on more than 1,600 adults in New York. They noted that lung function got better when participants had higher levels of antioxidants in their blood. The antioxidants that made the biggest impact were vitamin E and beta-cryptoxanthin. If you do not know, oxidative stress refers to an imbalance in your body’s ability to produce antioxidant defences and free radicals. This type of stress can play a major role in the onset of certain conditions like Alzheimer’s and diabetes. However, consuming antioxidants regularly can aid your body in maintaining that balance and preventing the oxidation process from occurring. The greater our exposure to free radicals is, the more antioxidants our bodies need to continue functioning properly. Things like pollution, cigarette smoke, drugs, alcohol, illness, high levels of stress, and even intense exercise can boost our exposure to free radicals. Thanks to antioxidants, our bodies can manage these free radicals naturally. Certain antioxidants like vitamins C and E can actually help to prevent the signs of ageing. They can also reduce or even reverse memory loss that is associated with old age. This claim was found to be true in a research study that was published in the journal “Age” in 2008. The study looked at the effects a blueberry-rich diet had on the brains of animals. What it found was that this type of antioxidant-heavy diet was associated with improved brain cell function, specifically when it came to preserving long-term communication and building stronger connections. Antioxidants can have a profound positive effect on your health and overall well-being. In fact, there are a number of ways how antioxidants help our health. From promoting healthy skin to preventing cancer, there is a lot of good that can come from consuming antioxidants. So do yourself a favour and start adding more antioxidant-rich foods to your diet today. Susan Hamilton is a food engineer and a homemade-everything type of woman. When she’s not growing her own fruits and vegetables or creating homemade recipes for her family, she likes wandering around and having different meetups with her friends. Even with a hectic schedule, she loves writing and editing articles for HomeRemedyBook, where she shares her knowledge about following a healthy lifestyle.